Visit Dr. Boyd's listing on the Psychology Today website. Entering psychotherapy is one of the most important decisions a person can make in life, requiring courage, humility, and a powerful desire to resolve one's difficulties and become the person you want to be. I know because I've done it several times! It will be a privilege to earn your trust, make you feel comfortable, and join with you in a collaborative process to unlock your inner resources and reach your personal goals. Concerns and problems brought to therapy include anxiety and phobias, depression, anger, trauma, abuse, grief, relationship strife, health issues, eating disorders, family issues, stress, low self-esteem, addictions, performance blocks, and personal growth. Dr. Boyd provides psychotherapy both in his office and by phone. To schedule an appointment with Dr. Boyd, email johnboydphd@gmail.com or call 1-434-760-0948. Please print and complete the intake form to bring to your first appointment, and be sure to read the office policies so that you know what to expect. 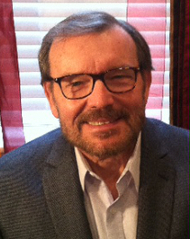 Dr. Boyd’s Ph.D. is from Ohio State University, and he has served as Associate Professor of Clinical Psychology at the University of Virginia. He is licensed by Virginia’s Board of Psychology to offer services in Clinical Psychology, Clinical Hypnosis, and Forensic Psychology. Print out and complete the intake form; bring it to your first appointment. Be sure to read "Office Policies" before your first appointment to know what to expect.